Product prices and availability are accurate as of 2019-04-18 04:52:16 UTC and are subject to change. Any price and availability information displayed on http://www.amazon.com/ at the time of purchase will apply to the purchase of this product. 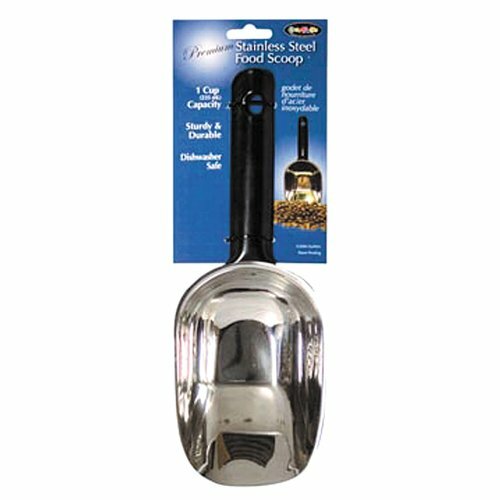 Using a pure stainless steel pet scoop is a great way to help limit the toxins that your dog is exposed to. Dishwasher safe and durable, OurPet`s stainless steel food scoop is a must for any pet parent. 1/2 and 1 cup amounts are clearly labeled on the scoop, and it is dishwasher safe.